Mars might aptly be called all things to all people. For conspiracy theorists and science fiction fans it is the subject of endless speculation and generally bad movies. 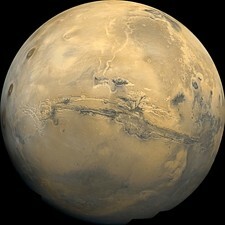 The red planet also functions as a tool for scientists seeking a better understanding of our own planet. For some it is a source of hope and escape from the earth’s declining environmental health and—for artists—a source of melodies. From Nov. 7 through Jan. 12, Cal Poly will be embracing the many different identities through an interdisciplinary, interactive Mars exhibit at Kennedy Library at the Commons (the second-floor studying commons, for all you Cal Poly neophytes). Adhering to the purpose stated in its title, Mars Within Reach: Artic Melodies and Science from the Red Planet will feature everything from data gathered during recent NASA expeditions to library resources, including a series of works by Edgar Rice Burroughs, considered by many to be the father of science fiction. Rather than approach the topic from a pedantic perspective, curator Catherine Trujillo elected to present the material in a sportive, comic book style, with tactile and visual tools including scale models of different rovers, captions, movie posters, and timelines. The end result may well convey the message that the relationship between science and science fiction is not so much a dichotomy as a collapse of ideas and possibilities. 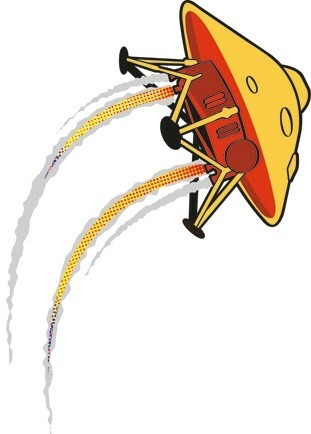 The fact that 2008 is, after all, both NASA’s 50th anniversary and the 70-year anniversary of Orson Welles’ hysteria-inducing The War of the Worlds broadcast must bear some significance. Sonification Research Lab—immediately offered assistance and data. Keller’s own work, based on data gathered from a gamma-ray spectrometer, represents the “arctic melodies” aspect of the exhibit. His work consists of a sonification and auditory display that he developed with composer and percussionist Marty Quinn, an all-too-rare example of art and science in conversation. 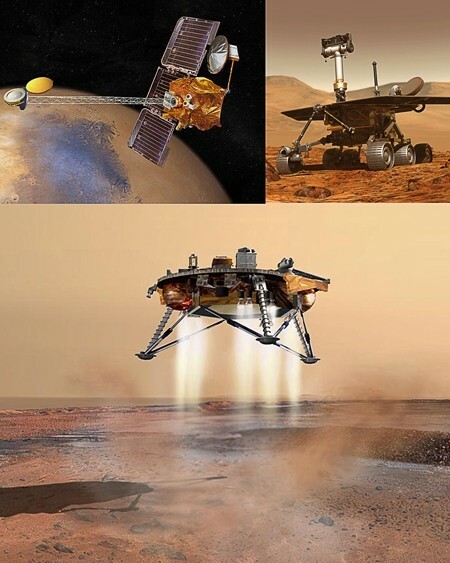 The duo created a composition using four different musical instruments to interpret four sets of data describing the surface of Mars. The pitch grows lower or higher and a note sounds softer or louder to correspond to the latitude, quantity of sunlight reaching a particular region, and the presence of hydrogen and neutrons. Percussion, for example, correlates to the presence of sunlight. Of course, in order to comprehend what they’re hearing, people must first understand how to listen to the data, but Keller insists that the scientific principles are simple enough that most college students should be able to grasp the general concept. And once they do, people can develop an entirely new relationship with the red planet, one not based on visually processing scientific data but on music and abstracted, unseen theory. Issues of perception play a central role in the display, and Trujillo welcomed the university’s Disability Resource Center to contribute, placing Mars within reach of an even wider audience, including those who might have a visual disability. Many of the models and topographical surfaces on loan from JPL and NASA’s Phoenix Mission can be touched, and the information panels will be accompanied by a Braille transcription, adding still another dimension of experience. Above all else, Trujillo and Keller sought to minimize the gap between the earth and its neighbor by any means necessary, short of plucking the orb from the sky. They distilled surplus data into key bits of knowledge from each Mars fact-finding mission. Everyone should know, for example, that the purpose of nearly every mission is to trace the presence of water, the primary factor that affects geology, climate, and life. Another key fact is that—regardless of what the guy wearing headgear fashioned from tin foil told you—as of yet, none of the complex organisms that would indicate the presence of life have been detected on Mars. Translation: No Martians. 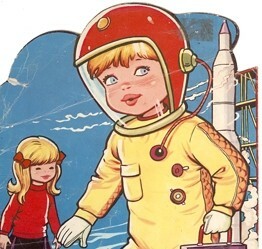 Even Trujillo had to overcome her perception of Mars as a dry, hot planet; in fact, it’s downright chilly. And, whether your Mars takes the form of a planet inhabited by Welles’ “strange beings” preparing to invade New Jersey or something closer to a space “crimson and bright, filling our telescopes with vague intimations of almost-familiar landforms,” as David Grinspoon stated in Scientific American, it’s closer now than it has ever been. Mars Within Reach: Arctic Melodies and Science from the Red Planet is on display at Cal Poly’s Kennedy Library Gallery at the Commons Nov. 7 through Jan. 12. An opening reception takes place Nov. 14 from 4:30 to 6 p.m.
Arts Editor Ashley Schwellenbach hopes that when Mars attacks, it starts with the politicians. Send visions of a utopian world to aschwellenbach@newtimesslo.com.